Ole Gunnar Solskjaer has admitted that he has a vision for what the Manchester United side should look like in the next few years and has provided his views to the club. 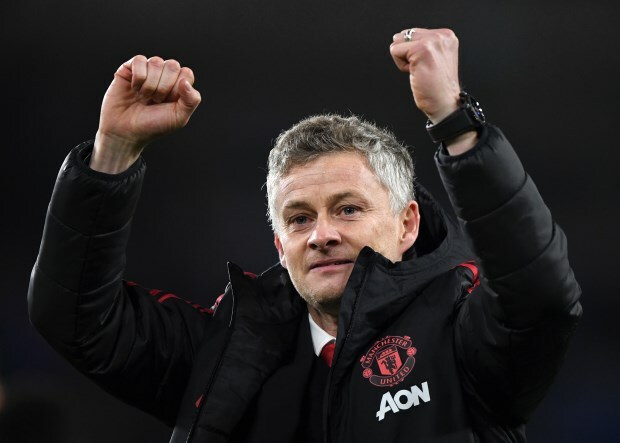 The Norwegian was only appointed manager on a caretaker basis in December, but Manchester United’s results and performances have opened the conversation over him getting the job full-time. Solskjaer is yet to lose as a Manchester United manager and has made no bones about his ambition to become the full-time boss at Old Trafford next summer. He has already stated that he is planning for next season despite the short-term nature of his appointment and claimed that he already has a picture in his mind of what Manchester United should look like in the next few years. Solskjaer admits that he has been putting his stamp on the club and has been exchanging opinions with the club’s executive vice-chairman Ed Woodward. He said in a press conference via MUTV: “Every day I feel that I do help the club put my stamp on it, yes. “But decisions sometimes of players’ futures are not down to me either it’s the players, do they want to stay, move on but we have a vision and a picture of how we want to look in a few years. He also insisted that his and the club’s views on the team and their future are not too far away from each other. Asked if the vision has changed since his arrival, the Norwegian said: “Not really, because I’ve supported and followed Manchester United for many years and I did have a clear view on what I thought my opinion would be.